You have seven reasons to pick up your remote and start watching! 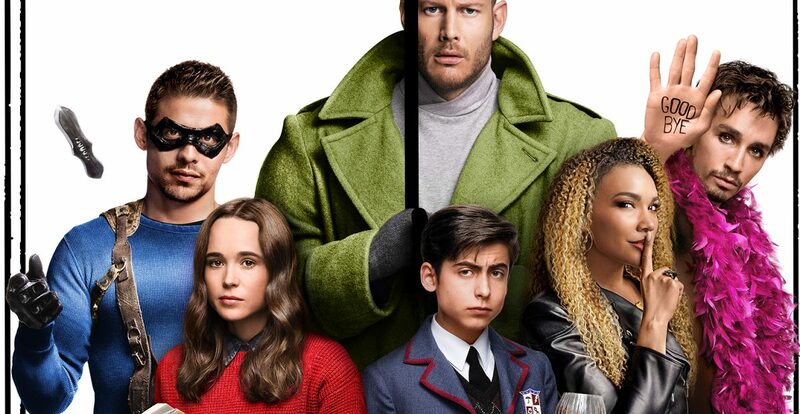 Netflix has been knocking it out of the park with entertaining original shows, and The Umbrella Academy should be at the top of that list. Why? Because the show (an action/mystery/sci-fi series) has a little of everything: great acting, quirky adopted siblings with vastly different personalities and gifts, an escape from impending death, a questionable father, a robotic mother, and of course, lots of action. The show's 10 episodes are jam-packed with plenty of surprises -- just what action fans are looking for. From the relationships between the seven children to the shocking ending, the show will keep you on your toes. Episode after episode you won't be able to stop watching (seriously, put that remote down and do the dishes). Unlike most Netflix shows, I took it slow with this one because I wanted to digest all the genius. I didn't like Luther and Allison's relationship stemming off to become more than just siblings. They may match well together because they are supportive of one another, but deep down, they are brother and sister!! This was the only downfall of the series because it felt thrown in and a little out of place -- even if it did flow with the nature of the storyline. Strangely, I found myself giving them a vote of confidence because I know deep down they are not blood-related -- still, gross. What do you think? Yay or nay? I mean, who am I to judge? I was really excited about Jon Snow and Daenerys Targarean getting together -- that was until I found out that they are aunt and nephew. I also didn't care for Kalus's actions sometimes -- very questionable! He needs to stay away from drugs and alcohol and focus on getting his life together. Despite the addictions, the boy does see dead people -- I could not help but think, "I see dead people," every time someone popped up. Almost everything. The show's biggest plus was that it managed to display more than just the typical action scenes. It began with a dangerous scenario that the seven children had to solve (an apocalypse) and intertwined each sibling's acceptance of themselves and each other. The show's incorporated "coming of age" story makes each character complex and interesting. Almost all of the siblings possess a unique power, too. What I found most interesting was the fact that each sibling is given a number (1-7) and is often called by that number rather than their actual name. I want to know what Number Five's name is, darn it! Overall, there are plenty of action scenes, problem-solving scenarios, and interesting villains. I enjoyed seeing the siblings work together and figure out the secrets of their past. My favorite part of The Umbrella Academy is the way it slowly reveals hints to the ending of the story, making us play detective! I would give this show an A! Have you seen The Umbrella Academy? What are your thoughts? Tell us in the comments below! Are you a fan of true crime? Check out our review of Netflix's "Abducted in Plain Sight"!